Full Metal Panic spreads itself thin as it covers comedy and action, but manages to entertain when it does fully commit to either. It is by no means your average mecha anime. A more comedic premise with an excellent story sets this anime apart from the more action orientated Gundam series. Laughing is unavoidable when the naïve Sousuke attempts to protect Chidori through any means possible, using guns, smoke grenades, and live explosions. However, when the laughs stop the amazing action sequences begin, they are always top notch. Full Metal Panic!’s unique characters and relationships places it among of my favorite series in anime. It is definitely worth checking out. 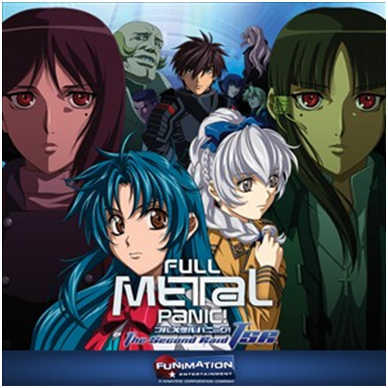 The action is on par with the other mecha anime and the comedy is a good precursor for the Full Metal Panic? Fumoffu spin-off.